No wins in his first four games as the new coach. All four losses coming in regulation time. Outscored 15-4. Three of those four losses coming at home. Finally came a win, but against one of the league's worst teams in Columbus. Following that were two more losses in the next three games. In case you don't remember, things didn't start off so well last year for Mike Sullivan when he took over as head coach in Pittsburgh in mid-December. The reason you may have forgotten is because his season ended in June on a victory. Champagne tends to be bad for your eyes and for your memory. Now to be clear, I'm certainly not making the outlandish suggestion that this year's Calgary Flames are the second coming of last year's post-Mike Johnston Pittsburgh Penguins. But if you go back over the last few years of NHL coaching changes, there are plenty of examples of teams that suffered transition pains, such as what the Flames are persevering right now under new coach Glen Gulutzan. The Sullivan struggles extended even further. After taking over behind the Penguins bench on December 12, his record in his first 17 games was a very pedestrian 6-7-4. But after close to six weeks on the job, the team turned the corner and over the final three months of the regular season, they went 27-9-1 under his guidance for a blazing .743 point percentage (defined as points achieved divided by points available). Of course, Sullivan's counterpart in the Stanley Cup final, San Jose bench boss Peter De Boer, was also in his first year on the job. Taking over prior to the season for longtime skipper Todd McClellan, the Sharks record on Remembrance Day was a very ho-hum 7-8-0. But similar to what happened in Pittsburgh, the team settled in under the new coach, became comfortable with the changes he introduced, and they went an impressive 39-22-6 over the remainder of the regular season. While the Calgary Flames, considering the age of their key pieces, are nothing like the Sharks either, that's also not the point. History shows that even when you inherit well-built, older, established teams with high-end talent, it still takes a while for it all to come together. As I looked back at the NHL coaching changes that have happened the last few years, more than 75 percent of the time the team struggled at first, before things eventually clicked and away the team went. It was difficult to identify a typical point for when that upwards trajectory hit. In the 13 cases below, that moment came somewhere between 12 and 22 games with the median being around the 18-game mark. Now there have been exceptions. Peter Laviolette in Nashville and Paul Maurice in Winnipeg dodged the new coach blues. There wasn't any noticeable transition period reflected in the win-loss record for Willie Desjardins in Vancouver or John Hynes in New Jersey either. But they represented the minority by far. Anybody following the Flames is well aware of the angst that is out there with the fan base at the moment. The pleas from furious fans to fire Gulutzan have been kicking around social media since the opening weekend. Calgary's 1-4-1 start in a season in which there had been so much optimism coming into it, has resulted in a lot of frustration for the players, coaching staff and fans. But it's been six games. Six. It's far, far too early. What we've learned so far is clearly it's going to take some time. Will it take 14 games? 18 games? 28 games? 40 games? Nobody knows the answer. What you need to do is buckle up because the roller-coaster of erratic emotions is sure to keep going for at least the next few weeks. 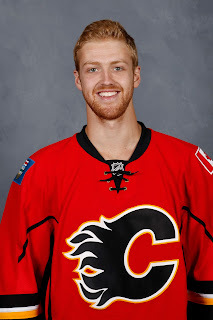 I spoke with defenceman Dougie Hamilton on Saturday and he admitted there is a transition going on right now. "Say, fronting shots in front of the net instead of boxing out. Last year, you're used to just going to the net and looking at the D, now you're focusing on the box outs," said Hamilton, providing an example of a systematic change. When you've been doing it one way for six months, it does take some time to unlearn the old way and for the new way to become natural. The result during such a transition is more thinking and less reacting. "When it is a habit, you're doing it second nature instead of having to think, look where guys are and that goes for our whole game -- offensively as well, power play, everything," Hamilton said. "When everyone's familiar with each other and you have chemistry and everything just happens on the ice instead of having to think of where you're going, it's a lot easier." Hamilton, who has had three different coaches the last three NHL seasons, alluded to his time in the OHL playing for Niagara. "Back to my powerplay in junior, we were together for two or three years and it makes it easier to play. It's easier when you're in a comfortable situation where everyone knows what everyone's doing." He says it's coming along individually but it's the team's collective play when on the ice together that is coming a bit slower. "For me, I have no problem with the system now, it's more our full team and full unit of five doing things together consistently," said Hamilton. "We've had a lot of good times in our games but there are times where we're not so good." 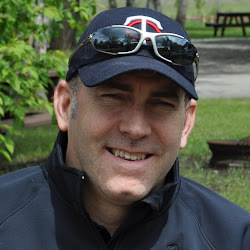 There are a number of different perspectives you can have on Calgary's rocky start. Perhaps too much was expected from a team that still finished 26th last season despite racking up a lot of end-of-season, 'garbage-time' points last year. The Flames are still rebuilding. This point seems to have gotten lost, perhaps because of all the off-season additions. You can toss out the window what happened two years ago when they defied the odds and went from draft lottery contender to making the post-season. As long as the roster still includes the likes of Dennis Wideman, Deryk Engelland, Ladislav Smid and Matt Stajan, it's fair to admit it's simply not their time quite yet. That said, not to be lost is how Calgary is losing. It's been bad. Like really bad. Their best players have been their worst. TJ Brodie, Johnny Gaudreau, Sean Monahan, Mark Giordano, Hamilton, Brian Elliott -- all have been playing like shadows of the players they are capable of being. Is it just adapting to a new coach? Is it the new systems? Nobody knows for certain but one thing for sure, six games is way too early to know. Give it until this time next month at least, and at that, don't expect the type of sharp ascent that the Penguins and Sharks had last year because those teams are simply way better teams than Calgary at the moment. The Flames difficult schedule coming up has also set off alarms and has some fans sheltering in place. After failing badly in this so-called easy portion of the schedule, now comes the likes of the Blues and Blackhawks on the road. The Capitals, Stars and Rangers all show up at the Saddledome. They make their way back to Illinois for another visit to the Chelsea Dagger dance hall. Oh, and add in a California road trip and not to Knott's Berry Farm, although this one does take them on three scary rides. Yikes. 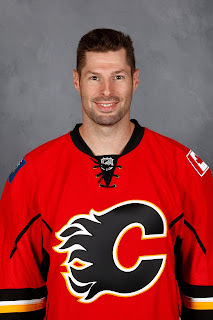 But an optimistic Troy Brouwer on Saturday suggested maybe this 'Murderer's Row' of opponents is actually the best thing that could happen as now it's time for the team to put up or shut up. "I think it can be a good thing. There's no easy games in the NHL, for starters, but when you're playing against the quality of teams we're about to play against in the next little stretch. It's going to make us have to elevate our game," he said. "Otherwise, we're going to be so far behind. So that's how we're looking at it. As a positive. We've got some tough games ahead of us, but us being in the situation we're in right now, it forces us to be better and better quickly and that's how we're approaching it." The way the season has begun, it's inevitable that the team will turn the corner at some point and settle in. It can't get much worse, can it? There's just too much talent for them to continue playing this poorly. However, will it be three or four wins by that 18-game mark when things typically start to take a noticeable turn for the better, or can they somehow scratch out seven or eight wins by then? The latter may be what's required to make the playoffs and while that sounds a tad optimistic, one thing I am far more certain of is playoffs or not, Gulutzan will still be this team's coach when the season ends. After all, three hours up the highway, McClellan survived a pretty poor first year in Edmonton and now in his second go-round, the Oilers are looking much more comfortable and are rolling along with five wins in their first six games, which has them in first place overall. Patience isn't always rewarded and hey, there's no certainties in life, but there are enough case studies out there as noted that riding out the new-coach blahs will end up worth it in the end. Yes, even if you have to plug your nose and cover your eyes to get through October. Some good points. But one specific person that has fans asking questions is Dave Cameron. How long before his work on the power play produces another goal? A few mistakes by the D and goalies would be more easily absorbed and overlooked if there were a few power play goals once in awhile. Lots of parts of the game, players on the team, that are struggling. You need a lot of free fingers to fairly point out all the issues and that certainly is one of them. I've talked about the PP before and will talk about it again. But that's another topic for another day in terms of this particular piece. But your observations are fair and yes, a better PP would have this team in a better spot right now. Chicago has been eye-poppingly bad on the PK this year, maybe that will be the tonic for Calgary. We'll see. Thanks for the note. Thanks for the reply. After seeing them play Chicago and especially St Louis, everything including the PP looks really promising. I'll try to be more patient from now on! Many more chapters to be written here. With new coaches, new system, they need at least a quarter-of-a-season to get what they want to do understood and implemented I'd say, before one can fairly weigh in on effectiveness or not. So far, some good games, some bad. Mostly bad actually. Hey Darren, I don't want to be "that guy", but didn't the only win come against buffalo? In the 2nd paragraph your article says Columbus. My lede was about how it began for Mike Sullivan in Pittsburgh last year. You're right in that I was hoping you might pick-up on the subtle comparison to this year for Gulutzan but I was still on the Pittsburgh angle at that point. Cheers. Not true. Same plain. Same terminal. Both subject to the same charges for our baggage. Hate to say it, but after 27 years of watching the Flames fail in many regards, should we really be surprised that this year's Flames are all much of the Same? Our GM chose to select a buddy as his head coach who brought in Cameron who coached Senators to one of the worst Penalty Kills/ Powerplay in the league- with the likes of Norris KARLSSON. 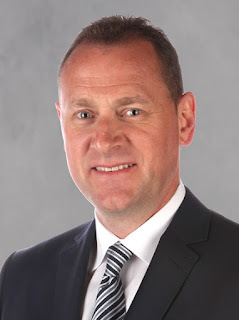 Treliving should be taking whatever he can get to move Wideman and Engelland. Not playing Hardball. His Handling of Gaudreau, finally signing him 1 day before Game 1 was a disgrace. Yotes took on the contract of Datsyuk who will MEVER play a game which means why is Smid eating salary even on LITR when a team can take him? Why isnt Backlund on the Powerplay while Bouma still is? ( groan on that. I though the Hartley days of not trusting Backs were over). Signed Grossman to pressbox him when he could have signed Nakladal and PLAYED HIM. Is randomly sitting Tkachuk when his Stank and Tackleberry attitude are what the Flames need. The list goes on. No matter what, it shows that the team would rather make excuses and blame it on a new system, when it isn't. It's a lot of the same that been going on for 27 years now. Lose good players, trade for garbage, sign junk, and watch the Oilers pass Flames in the standings. FYI they've only 1 loss this season. We will have to wait til the 2017-18 season to really see wins above. 500. Not happening this year as long as Wideman, Engelland, Grossman, Bouma are on the roster. Normally I am happy to have a friendly dialogue with people but not with an anonymous ranter, who is just venting. Thanks for stopping by. Good article Darren. I find Dougie Hamilton very frustrating. At the end of last season I thought the young man was developing into a Norris candidate. His giveaways this year may even be topping early last season. Though I have noticed him making an attempt to hit a few players. Softly, but at least hitting. Thank you kindly for the note. Regarding the defence, we know how the adjustments went early for Hamilton last year (not good) and how much better he was after he settled in. Perhaps that is the template again for this season. Two reasons as I'd see it: 1. KHL threat would always loom (see Nichushkin, who Calgary could have drafted ahead of Sean Monahan in 2013). 2. Past bad experiences in dealing with the Russian Hockey Federation (see Rushan Rafikov). I can say I'd approach the draft any differently. If two prospects are similar, I'd take the non-Russian every time.